Premium foams and springs for enhanced pressure relief with edge-to-edge support. Shop these Leesa customer styles and create your own sanctuary. Sleep now, pay over time. 0% APR financing as low as $50/mo. Active pocket spring layer with enhanced edge support adjusts to all body types. 53" x 75" x 11"
Our mattress was designed to provide you consistent support from edge to edge throughout the night, no matter your body type or sleeping style. The Leesa Hybrid mattress uses premium foam technology and individually-wrapped pocket springs to adapt to every curve of your body. Unique pocket spring sizes vary from the edge to the center, giving you exceptional edge support while sitting or laying down. The support layer of 1,000 individually-wrapped pocket springs minimizes motion transfer for you and your partner. Our top comfort layer provides body contouring and incredible pressure relief to take weight off of your hips and shoulders. Chris L. Icon/Leesa Blue/Verified Buyer Created with Sketch. My wife and I were hesitant to try a mattress from an online company, but are very glad we did! We needed to upgrade from a Queen sized, pillow top Tempurpedic bed to a King sized bed and decided to give Sapira a shot to save on costs. Plus, with the 100 day return policy we had nothing to lose. The Sapira mattress turned out to be perfect. Because our old mattress was a tempurpedic, this new one was slightly firmer (which we liked) and didn't sleep as hot. Overall, very impressed! Jon T. Icon/Leesa Blue/Verified Buyer Created with Sketch. I was skeptical about purchasing a mattress without trying it but was impressed with the 100 day trial. Watched numerous reviews and decided the Sapira was for me. I am absolutely delighted with this hybrid mattress. Certainly the most comfortable I have ever owned. Back pain all but went away after two nights. Can't say enough good things--so glad I took the chance. Michael K. Icon/Leesa Blue/Verified Buyer Created with Sketch. Skeptical but decided the free 100 night trial was worth it. Absolutely love this mattress. My wife and I are sleeping better and have since the first night. Would highly recommend! Rick A. Icon/Leesa Blue/Verified Buyer Created with Sketch. I have friends and family that think that it is too soft. For years i've slept on a firmer memory foam mattress and thought it was fine but I was always hot. My first impression (really, no pun intended), was that it was indeed too soft but what lured me to take the challenge was the 100 night guarantee and the claims of cooler sleeping conditions. It is indeed on the soft side but I feel that this and it's built in coolness allow (encourage?) me to stay in one place. I just moved so I am super busy and not giving my back the attention it needs, yet, my back feels better than expected. Lauren L. Icon/Leesa Blue/Verified Buyer Created with Sketch. So happy with the purchase of our new Sapira mattress. I was very worried about purchasing a new mattress online, but am so glad I did. There were a few reviews that had me worried, but I have nothing but positive things to say. The mattress was a perfect fit for us! I did a lot of research, read many reviews, and also looked at other online mattresses, but I’m glad I went with Leesa/Sapira. I really wanted a hybrid mattress at a reasonable price, and we found it with Leesa/Sapira! Thank you for making a great mattress, making the purchase easy and offering the 100 day trial, but honestly I knew it was a keeper after a week!! Thank you Leesa!! Schenider Icon/Leesa Blue/Verified Buyer Created with Sketch. My wife and I agreed that we had to purchase a new mattress. We looked online for mattresses and, we also searched for reviews of mattresses. I had a back operation in late 2016; my back is much better and doing well but the mattress I had bought in 2014 was not very good. We decided that in order for us to sleep well and for our health we had to look for another one. My wife sleeps on her back and side, I sleep on my back and stomach. We had to find a mattress that is very comfortable and doesn't awaken me when she gets up in the middle of the night. After reviewing we decided on the Sapira Mattress. We appreciated that if it did not fit our needs and we did not like it we could return it within 100 days at the cost of the manufacturer, no questions asked. My wife loves it and has asked me many times when we first purchased for many weeks if I was comfortable and sleeping well at night, we both are and we like it. I especially love the fact that I feel no moving on the mattress. Michael R. Icon/Leesa Blue/Verified Buyer Created with Sketch. I’m a big guy so was worried it wouldn’t support my weight but it’s wonderful. It’s supportive with just enough springiness. I’m able to sleep on my back now without pain thru the night and I don’t toss and turn like I used to. Thank you so much for allowing me a deeper sleep. Henrietta S. Icon/Leesa Blue/Verified Buyer Created with Sketch. I have been sleeping on my Sapira King mattress since July - I do indeed love it. It is firm yet yields enough to my body to relieve pressure points. I no longer awake with back pain. Jennifer A. Icon/Leesa Blue/Verified Buyer Created with Sketch. A very nice, firm mattress. This mattress ended our back pain. I no longer wake with movement from my spouse. Overall a much better night's sleep. Jacci C. Icon/Leesa Blue/Verified Buyer Created with Sketch. From night time back pain to relief! Going into the second month of sleeping on the Sapira mattress. I have experienced relief from lower back pain while in bed and ease of sitting up to get out of bed. Garrett D. Icon/Leesa Blue/Verified Buyer Created with Sketch. We’ve been sleeping on the same mattress for the past 10 years and new it was time to upgrade. Did a bunch of research and Sapira was the final choice. It’s an amazing mattress. We both sleep through the night and wake up with no back pain - something that was bothering us both recently. Highly recommend! Aaron K. Icon/Leesa Blue/Verified Buyer Created with Sketch. My last bed caused severe back pain. My new Sapira has my back feeling much better! Recommend this product to anyone that sleeps on their back! Karen M. Icon/Leesa Blue/Verified Buyer Created with Sketch. Was having back pain with my old mattress. Decided to buy a Sapira and my back pain is gone. Excellent mattress. Fast shipping easy to setup. Jacob R. Icon/Leesa Blue/Verified Buyer Created with Sketch. Struggled with back pain from sleeping on an old pillow top mattress. Needed something a little on the firm side but still soft. I found it in this bed. My mornings have been much better and I feel more well rested. It has the added benefit of staying cool throughout the night. And as someone who sleeps hot, this is a great feature. Kevin P. Icon/Leesa Blue/Verified Buyer Created with Sketch. We went from a memory foam to the Sapira hybrid and the back pain I had everyday when I got up is gone! 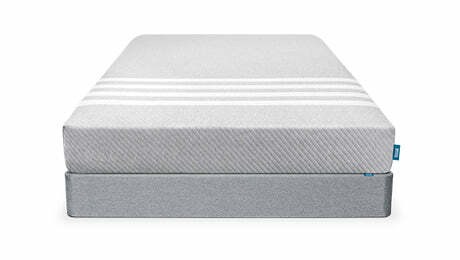 A great mattress that provides the firmness of a spring mattress combined with the comforts of foam. Robert T. Icon/Leesa Blue/Verified Buyer Created with Sketch. My old mattress was starting to sag and I had back pain in the morning. A few nights on this, and I was as good as new!! Really loving the firmness to comfort ratio. I would definitely recommend this to anyone looking for a firm yet comfortable mattress. Karon J. Icon/Leesa Blue/Verified Buyer Created with Sketch. We tried Casper first but felt it was a little too soft. We needed a slightly firmer mattress to help with our hips and joints. Sapira is great for folks who need that extra support. Daren M. Icon/Leesa Blue/Verified Buyer Created with Sketch. Very happy with this bed. I had a Casper mattress before this one. I felt like the Casper lacked a bit of cushion on top. I don’t feel this way about this mattress. It’s the perfect firmness and cushion. Sukhjit T. Icon/Leesa Blue/Verified Buyer Created with Sketch. Returned my casper and I got this mattress. Love it. Dianna F. Icon/Leesa Blue/Verified Buyer Created with Sketch. When I decided on the Sapira I was looking for a mattress that was firmer than the average memory foam mattress. I have a memory foam from a traditional mattress company that is too soft and was waking up with neck and back pain. I tried the Casper and Leesa and thought they were too soft for me. I did not want a mattress that would "hug" me. I went with the Sapira because it is considered more firm and has a feel of a spring mattress without as much motion transfer and at a lower cost. It's just the perfect firmness. It was easy to unpack and set up; I would recommend having a second person help get it up any stairs if you don't opt for that service with the delivery, because the box is heavy. Peter T. Icon/Leesa Blue/Verified Buyer Created with Sketch. Embarrassed to admit, we went through 2 Tempurpedic trials, 1 Casper & 1 Sleep Number mattress prior to finding our perfect mattress. The Leesa Sapira really is just right. Not too firm or too soft with great support and no back pain whatsoever. We truly believe that we’ve finally found the perfect mattress. Additionally, the price is great as is the ordering and shipping process. A fine company that delivers a really good nights sleep with a high quality product made in the USA. Thank you Leesa. Scott S. Icon/Leesa Blue/Verified Buyer Created with Sketch. Great bed, very comfortable. Good support on my back, not too firm, doesn't sleep hot, wife also loves it. Chelsea D. Icon/Leesa Blue/Verified Buyer Created with Sketch. As good as our Tempurpedic but cheaper! Packaging was minimal and set up (if you can even call it that) was easy. The mattress is supportive yet soft. It transfers little motion so I don't usually wake up when my spouse gets out of bed before me. I work third shift and I do feel as though this bed has helped me sleep more soundly during the day. A great purchase! Ryan C. Icon/Leesa Blue/Verified Buyer Created with Sketch. Any time my partner and I would move on our old spring mattress we'd wake each other up. Now we can treat one side like a trampoline while the other sleeps soundly just a few feet away. Donald S. Icon/Leesa Blue/Verified Buyer Created with Sketch. My wife and I are different sizes (230, 140) and sleep in different positions (I am a side sleeper, and she sleeps on her back) and this mattress provides us both with great support and comfort. Recommend without reservations. Kathi L. Icon/Leesa Blue/Verified Buyer Created with Sketch. My husband has back issues but loves our new mattress -he has never slept better! I sleep on my side and back and have no problem getting comfortable and falling asleep. We unboxed our mattress and waited about 36 hours to allow decompression before we slept on it! No problems with “odors “. I would fully recommend a Sapira mattress! Ronna O. Icon/Leesa Blue/Verified Buyer Created with Sketch. Love this mattress. It is firm enough so that my husband and I don't sink down into the mattress. Very comfortable. Jill B. Icon/Leesa Blue/Verified Buyer Created with Sketch. Michael T. Icon/Leesa Blue/Verified Buyer Created with Sketch. I had the same mattress for years and thought I was always sleeping great, then I was convinced to get a new mattress from Leesa, and the rest is history. I sleep so much deeper, I don't wake up in the middle of the night, and I never hear or feel my wife moving around. Erin V. Icon/Leesa Blue/Verified Buyer Created with Sketch. My husband and I chose the Sapira after researching similar brands. We wanted something more than memory foam, and the Sapira seemed to describe a good mix. We received the mattress quickly in a large (heavy) box, unwrapped it, and slept on it the same day. At first we were not quite sure what to think- as we expected it to be instantly magical. It now has been 4 weeks or so, and we can say it is great. It took some time to get used to it. Side note: we have a king size on a slatted bed frame. Angela C. Icon/Leesa Blue/Verified Buyer Created with Sketch. I was apprehensive about purchasing a mattress that I had not actually tried out as well as the hybrid of innerspring and memory foam but I love it! No regrets and I sleep wonderfully. No dents left in the mattress, great support. Melissa D. Icon/Leesa Blue/Verified Buyer Created with Sketch. I replaced a Serta Icomfort mattress with the Sapira. The Icomfort was hot and was losing some of its recoil...I felt like I was sleeping on a warm gummy bear until I couldn't stand it anymore. Sapira seemed like the best of both: Memory foam and coils. I have not been disappointed! Andrew B. Icon/Leesa Blue/Verified Buyer Created with Sketch. We love our Sapira mattress! This is the most comfortable mattress either of us have ever slept on. The ordering, delivery and setup were easy. I'm glad we went with the Sapira because the mattress doesn't sleep hot and we get the best of both worlds - memory foam and springs. We love our Sapira mattress! George D. Icon/Leesa Blue/Verified Buyer Created with Sketch. Wow! I was worried being a side sleeper that this might not be a good fit, but I was totally wrong. This is literally the best mattress I’ve ever slept on. The perfect blend of memory foam and inner spring. Love it! Robert D. Icon/Leesa Blue/Verified Buyer Created with Sketch. Finally found the right mattress! After four previous attempts with other mattress manufactures Leesa has won the shootout for delivering the perfect technology combination of coils and memory foam for our needs. My wife is severely disabled with a degenerative bone disease and I have numerous issues with my back. Finding the right firmness, height and comfort was beginning to feel like an impossible order. Sapira not only provided the comfort and support we were searching for but also at a fair price! Matthew A. Icon/Leesa Blue/Verified Buyer Created with Sketch. We've been very impressed with our Sapria after a full month. Beats our old matters with memory foam topper by miles. We wish we hadn't waited so long to make the change. Shipping was excellent... Fast and easy setup. Leslie T. Icon/Leesa Blue/Verified Buyer Created with Sketch. For years, my husband and I have slept on a Tempurpedic mattress, thinking this was the best for back pain and athletes. After years of struggling with poor sleep patterns and often times, an achy feeling when we woke up, we realized this foam memory was not the answer. Our close friends highly recommended the Leesa and we began the search for a new mattress. Sapira was our choice, with a combination of foam memory and wrapped pocket spring system. The delivery was a very heavy yet small box for a King mattress and I was dubious. Once they unsealed the plastic and the mattress was set on our new bedframe, everything fell into place. The first night, I slept 7 hours straight without waking. The mattress is a foam, yet "bounces" when I roll from side to side. I also sleep on my stomach and it's very comfortable. So many good things to say about the Sapira mattress....active & in my 50's, I feel young again! Robert A. Icon/Leesa Blue/Verified Buyer Created with Sketch. I'm 6-2" and weigh 240 lbs and have had a hard time with memory foam mattresses because they do NOT retain their shape, so this mattress with coil springs and foam on top seems to be the perfect solution. Also it sleeps cooler than memory foam that just reflects the heat back at you. This is a firm mattress but does adjust to your body as the days go by. After about 2 weeks the firmness/softness was just right. I spent $2400 on an icomfort mattress that was a piece of crap in 6 months, and they don't stand behind it. The Leesa return policy is the best in the industry, but I'm glad I didn't need to use it. Sang C. Icon/Leesa Blue/Verified Buyer Created with Sketch. We were unsure about buying a mattress online, but the great trial offer (w/ free pickup) as well as consistently good reviews helped in our decision to purchase. We were unsure about how we would like a foam type mattress as we prefer 'firm' mattresses. I think the construction of the Sapira makes it the best firmness for us at least. The top layer is hard to describe, offers amazing support and comfort but is very responsive. We don't feel like we are sinking into the mattress at all. I'm about 190 lbs and a back sleeper. I tend to get hot easily, but the Sapira has no issues with temperature. It stays cool all throughout the night. My wife is much lighter than me, and a side sleeper. She loves it equally as I do. Simply put, we love the Sapira and glad we got the king size as well. We have been suggesting this mattress to all our friends looking into purchasing a new mattress. A slight warning, if you are a heavier side sleeper, the Sapira might be a bit too firm. If this is the case, the original Leesa (though we haven't tried it) might be a better option for you as I understand it has more "give" than the Sapira due to the difference in construction. Lisa G. Icon/Leesa Blue/Verified Buyer Created with Sketch. Sapira mattress & Leesa pillow ‌Excellent mattress!! I can sleep comfortably in any position, but mostly a side sleeper We also got the Leesa pillow and it is fantastic, also I would highly recommend the Sapira mattress My only regret was waiting so long to order it! Michael G. Icon/Leesa Blue/Verified Buyer Created with Sketch. Most comfortable side sleeping mattress I’ve owned. I’m a side sleeper, but I also do a fair amount of switching side-to-side throughout the night. This mattress seems to combine the softness and comfort of foam while still allowing me to ‘bounce’ to the other side without bringing me out of my slumber. Sandra K. Icon/Leesa Blue/Verified Buyer Created with Sketch. Even my dog loves this bed! Great night's sleep, even for this side sleeper Took some time for my body to adjust, but now it's perfect Awesome if you can sleep on your back or stomach Leesa, you should make dog beds, too My husky/shepherd mix gets in it the moment I get out and sleeps there all day, which she did not do on the old bed So glad I took a chance and ordered this bed! Kristy M. Icon/Leesa Blue/Verified Buyer Created with Sketch. At first I thought this mattress was going to be too firm for me as a side sleeper, but after just a couple days, I was completely used to it. I love how firm it is, and I no longer notice when my husband gets up in the morning hours before me! Barbara W. Icon/Leesa Blue/Verified Buyer Created with Sketch. My husband and I are both 60 with a lot of physical activity during the day. We have always like firmness, but found that leads to more soreness in our joints as we are both side sleepers. The Sapira is firm, but forms to our bodies, cradling our old joints. We sleep better now than in the past 10 years! Nicole J. Icon/Leesa Blue/Verified Buyer Created with Sketch. I did months of research before settling on the Sapira - lots of internet searches and person recommendations - and we are very happy with our decision. My husband used to toss and turn all night long, and sometimes to the point where he would alligator roll the blankets right off of me. We had to use separate sheets and comforts for years because of this. Now with the Sapira he hardly moves and we're back to one sheet and one comforter. He's a side sleeper but has been sleeping on his back more in the new bed. He hasn't had the aches and pains he used to have in the morning either. I'm a back sleeper and it has taken me a while to get comfortable with the new bed, but that will happen with any brand new bed. Now that it's been almost 60 days my body has adjusted and I'm sleeping better than ever. My husband set the bed up while I was at work but said there was nothing to it. It decompressed within 24 hrs. and was totally ready to go. I would recommend this bed to anyone looking for something new. Marisa A. Icon/Leesa Blue/Verified Buyer Created with Sketch. Loving our new Sapira mattress so far-- it's much cooler than our old pillow-top mattress (my husband and I both radiate heat at night). It is very firm, but my husband is a side-sleeper and loves it. I sleep on my back and also love how firm it is--very supportive and I don't wake up with back pain any more! Michael H. Icon/Leesa Blue/Verified Buyer Created with Sketch. We have loved the mattress since our first night. We had no weird odors and no issues with bed temperature. 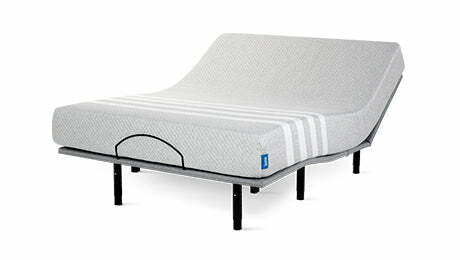 We have had a tempurpedic before and feel that this bed is more comfortable and definitely cheaper. We highly recommend this mattress. Michael J. Icon/Leesa Blue/Verified Buyer Created with Sketch. The mattress is very comfortable, I am getting a better sleep. Wish I knew about it a lot earlier, out performs my old Tempur pedic hands down. Ying L. Icon/Leesa Blue/Verified Buyer Created with Sketch. came in an easy to move box. i was able to take it up a flight of stairs alone. Mattress is firm, exactly what i wanted. super comfortable. totally worth it. feels the same as the more expensive tempurpedic beds at the store. Lisa S. Icon/Leesa Blue/Verified Buyer Created with Sketch. I love, love, love this mattress! After having slept on a Tempur-pedic for the last seven years, I was skeptical about a mattress that comes shipped in a box, but decided to give it a shot since the price is about one third of an entry-level Tempur-pedic. I slept like a baby from the very first night. I cannot get over how comfortable this bed is! It sleeps cool, emitted no odor and has just the right amount of support. I did purchase an 8 inch foundation simply because I have a platform bed and the bed sat very low. Now it is perfect! I highly recommend this bed! Ashley L. Icon/Leesa Blue/Verified Buyer Created with Sketch. I had previously had a Tempurpedic bed that I loved, but felt like I was always very warm. We did some heavy reviews before purchasing the Sapira, but have been so pleased with its comfort! We donate one mattress for every ten we sell. 1. How long will it take to receive my Leesa Hybrid mattress? Once an order is placed, we need 1-5 business days to build and compress your Leesa Hybrid before boxing and shipping it directly to you. UPS in-transit times vary from 1-5 business days depending on location. We will send you another email with your tracking details as soon as your Leesa Hybrid leaves the building. 2. How do you set up the Leesa Hybrid mattress? 1. Unbox your Leesa Hybrid mattress on its side, next to the foundation or floor. Avoid using a sharp object to open the box as you run the risk of unintentionally slicing your Leesa Hybrid. Unboxing by yourself? Try placing your foot on one of the flaps to hold it in place while you pull the bedroll out. 3. Unwrap and unfold the mattress and tear away the inner plastic. If you tear the inner plastic at the top of the bed, you can pull it straight down and off like a sock. 4. Watch your Leesa Hybrid expand and take shape. Note: It may take up to an hour for your Leesa Hybrid to fully expand and a few days to fully firm up. Any slight odor will dissipate shortly after setup. You won’t be able to resist giving your Leesa Hybrid mattress a quick test run. The top surface may feel soft at first but soon the memory foam will kick in and relieve the pressure on your body. The pocket springs will allow the entire mattress to contour to your body in a minute your mattress will feel great, later it will feel amazing. 3. Do I need a box spring or foundation? If you are unsure about your setup, give us a call or send us a quick message. We’re happy to help. 4. How does your return policy work? We're confident you'll love our products, but if you don't you have up to 100 nights to let us know. *Alaska & Hawaii Customers: There is a $100 fee for mattress returns. 5. Do I need a mattress protector or mattress pad for my Leesa Hybrid? Mattress protectors are a great way to shield your mattress from life's little accidents. Look for a highly recommended brand that offers a waterproof, hypoallergenic protector made of breathable fabric. We’re available by phone and chat every day, 9 a.m.– 9 p.m. ET.